"#*!  @•¶¢ #&©∆∂ ¢£•ª¶¶ (Insert choice four-letter words there.)" 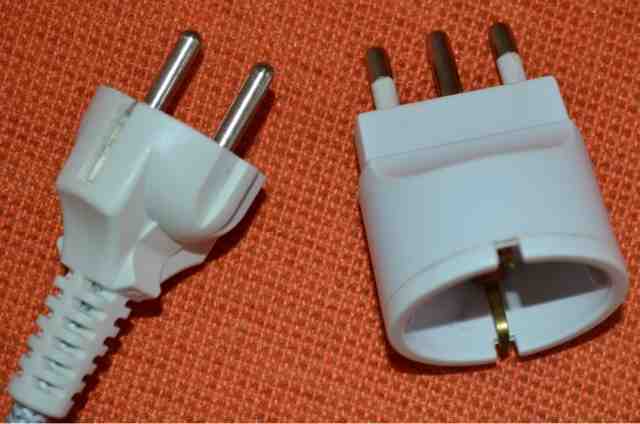 I was, to say the least, a bit frustrated with trying to get my adapters (The big beige on and two small black ones above) to fit in the outlets both in Spoleto and Sulmona. "&#∂∂ƒ ≈ßß≥." Laurie, our host in Spoleto, gave us a couple of different adapters into which we plugged our own adapters before we plugged anything into the wall. Confused? Just wait. "Don't use the oven and the washer at the same time," Laurie advised us as he handed the adapters to us. "And, when you use the hairdryer, you shouldn't use the microwave. 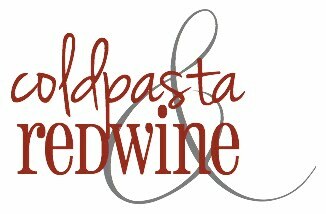 Actually, don't use the microwave and washer or microwave and oven at the same time, either. You'll blow the electicity in the whole building." He must have seen the shock on my face because he continued. "It's like this all over Italy, you know." No, I didn't know, but I didn't say anything. 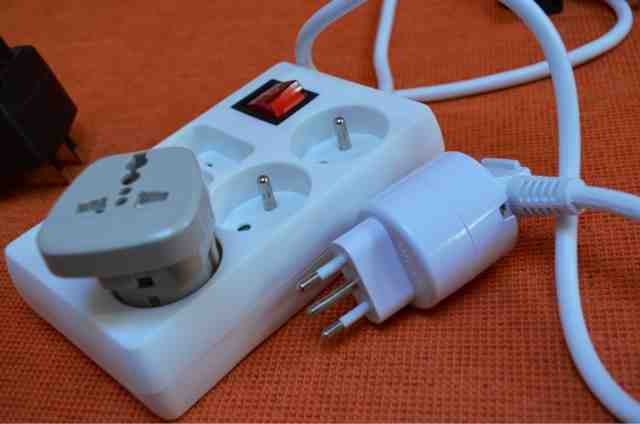 Having stayed in apartments in Italy before, we had problems with neither our adapters nor the electricity. Far be it from us to want to blow the building's circuitry, though, so we unplugged and moved things around when we used more than one appliance. Throughout the entire Spoleto stay, we never could get the iron nor the old — or new — hairdryer to work correctly. 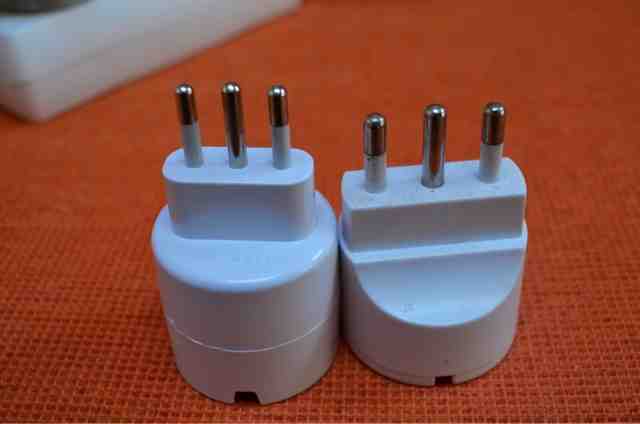 (Keep in mind these had Italian plugs which, interestingly, looked like our adapters but actually fit the outlets.) The iron would heat a bit and go off. The first hairdryer weakly blew cold air. The second one blew warm air for a few days and than gave way to cold. The first morning we were here, I washed my hair and took out the apartment hairdryer. It plugged right into the outlet. Praise heaven! I turned it on, and it weakly, weakly, weakly emitted a bit of hot air. A few times, it sped up for about 30 seconds, and a few times, it just shut off. Everyday that week and until Tuesday of this past week, I used the hairdryer that was on its last legs. 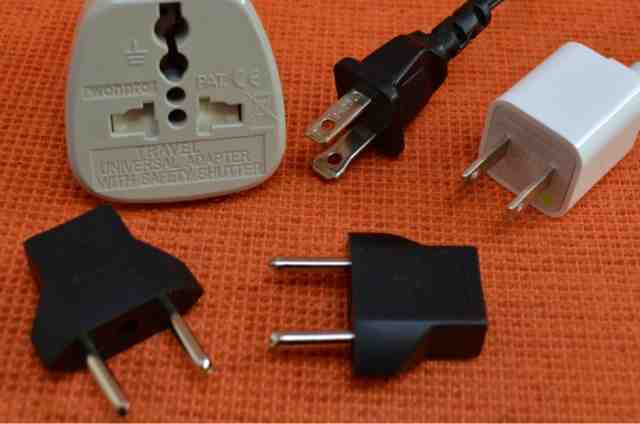 I took out the iron on Monday to use it for the first time since we arrived, and the iron's prongs were plugged into one of the adapters. "Holy crap," I said to Mike. "Maybe I need to use an adapter with the hairdryer." BINGO. I took the adapter from the iron, put it on the hairdryer, and actually had dry hair in about two minutes. This whole thing is quite confusing. 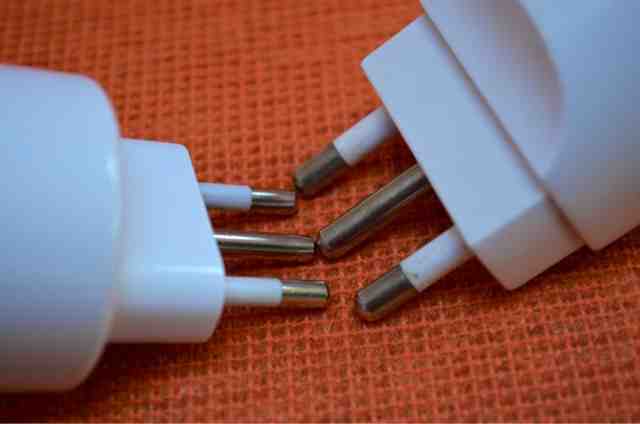 The space between the prongs on our adapters is the same as the width between the two outside prongs on the adapter on the left below. It fits into the outlets, but ours do not. 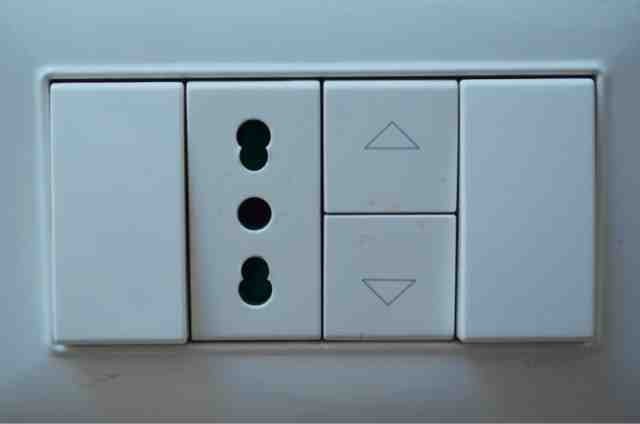 By the way, note the width between the prongs of both adapters and the size of the adapter on the right in both the photo below and the photo of the two above (two photos up). So, I give up. It's a good thing we'll be home in a few days.